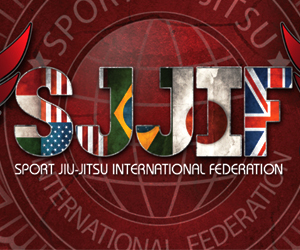 Brazilian Jiu-jitsu competitors know all too well the requirements for competing at their maximum performance. Strength training, conditioning and dieting are basic building blocks for amplifying your jiu-jitsu game. Renan Vital, BJJ Black Belt trains at Morumbi Brazilian Jiu-Jitsu gave some suggestions for those looking at maximizing their potential. While at the Sports Jiu-Jitsu International Federation Worlds Tournament, this is what Professor Renan Vital had to say. “I do pilates to improve my jiu-jitsu”. Pilates benefits your jiu-jitsu game as it has helped with improving strength of stabilizing core muscles, like your lower and upper back. Pilates slow paced movement helps strengthen small muscles throughout major muscle parts of your body, thus enhancing the kinesthetic of your frame. Full usage of your major and minor extremities helps with protecting against injuries. Pilates many movements help jiu-jitsu practitioners with range of motion and balancing. The many pilate exercises helps BJJ competitors gain equilibrium as they transition from technique to technique, maintaining firm grounding on the fight and with their bodies. “Capoeira has increased my cardio”. 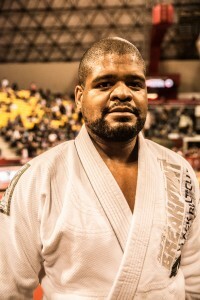 Professor Renan Vital also gives much credit to capoeira as a significant component to his competition training regimen. As most know, capoeira is a Brazilian martial art that incorporates dancing and acrobatics. The many fast movements and transitions help with mass body intensity training. As with BJJ, capoeira demands large amount of energy and body coordination. It is through these repetitive movements that capoeira becomes a great cardio builder. In terms of dieting, Professor Renan Vital credits his meal planning done by Black Belt Bistro. Complex carbs, protein monitoring, caloric intake are all compacted into meals fit for his training and competition needs. Oss!